Animal health represents an important factor in public health as zoonoses account for nearly two-thirds of human infectious diseases—the majority are from wild species. A multi-sectoral or One Health approach that considers the human-animal-environment links can promote synergies among public health, veterinary, and medical professions with other disciplines. 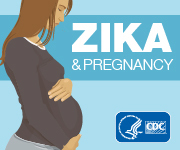 In February 2016, CDC, in collaboration with state, local, tribal, and territorial health departments, launched two comprehensive surveillance systems to report and monitor pregnancies and congenital outcomes among symptomatic and asymptomatic women with laboratory evidence of Zika virus infection in the United States and territories. As of May 12, 2016, there were 157 and 122 pregnant women with laboratory evidence of possible Zika virus infection residing in participating U.S. states and U.S. territories, respectively. MicrobeNet, an innovative online library of nearly 2,400 rare and emerging bacteria and fungi, provides real-time access to help health departments and labs identify rare infections and save lives. Well Care Compounding Pharmacy is performing a voluntary statewide recall in Nevada on all unexpired sterile compounded products due to FDA concern over lack of sterility assurance. The recall impacts all sterile compounded products distributed between 01/01/2016-04/29/2016.